I love working with felt. Sheets of felt are inexpensive, widely available, vibrant in colour, easy to cut and a breeze to sew. 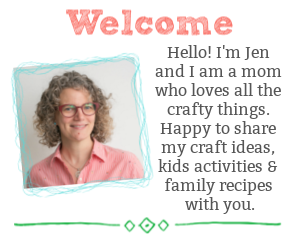 In the weeks leading up to Valentine’s Day (well, any holiday really) I become more than a little obsessed with making things from felt…specifically felt hearts. 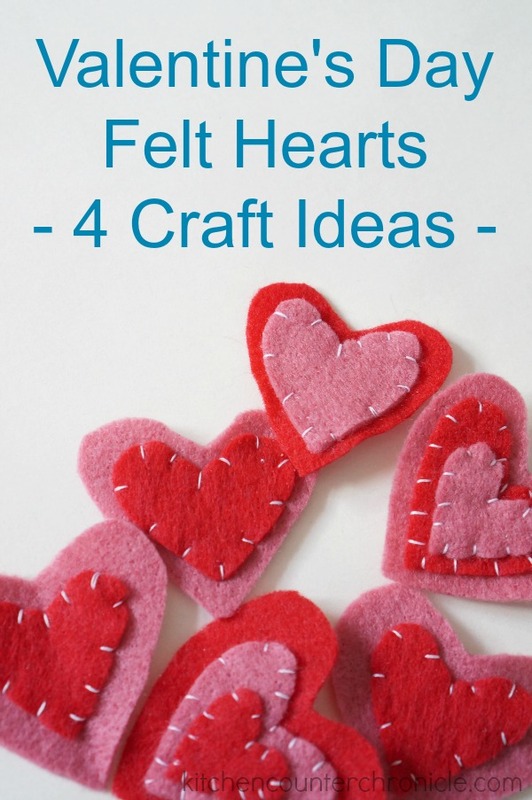 I find myself with a pile of felt hearts…wondering what to make with them. 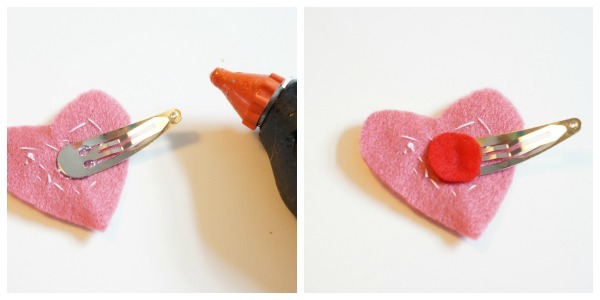 So, I came up with 4 beautiful Valentine felt heart craft ideas…simple gifts to make and give. From the felt, cut out 2 large hearts (2″ in tall) and 2 medium hearts (1.5″ tall). Pin and sew 1 large heart to the front of a piece of ribbon (11″ long). 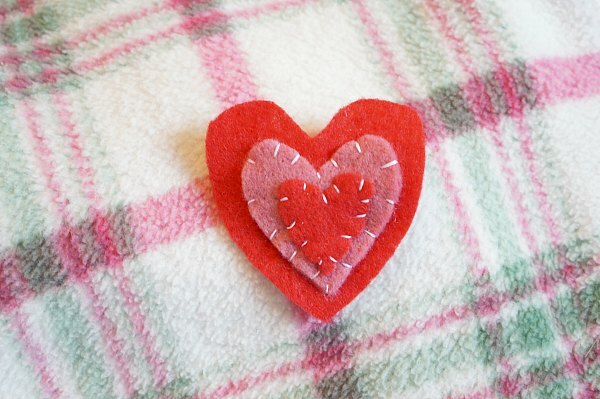 Once in place, use a blanket stitch to sew the two large hearts together. 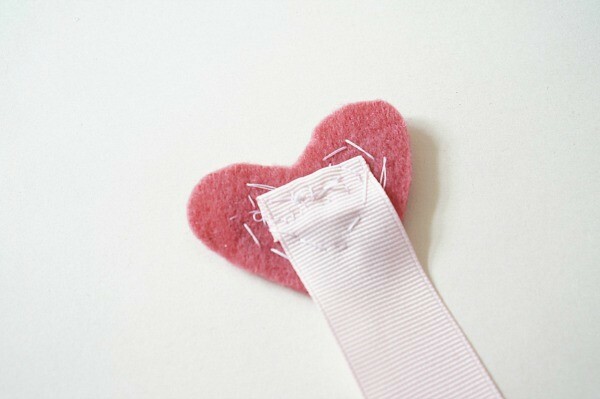 Now, sew the medium hearts in place…one on the front and one on the back. You may use as many or as few hearts as you wish. To finish the other end of the ribbon I was able to melt the end by carefully running a lighter along the exposed end. Otherwise, simply sew a quick hem along the open end. Done. 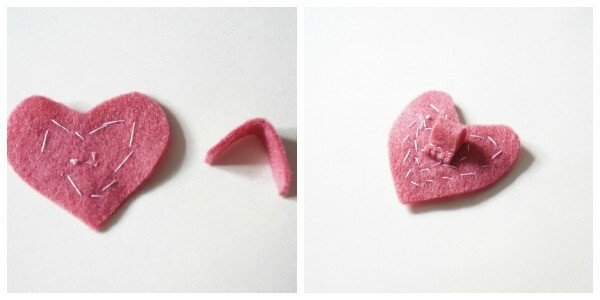 From the felt, cut out 1 large, 1 medium and 1 small heart. 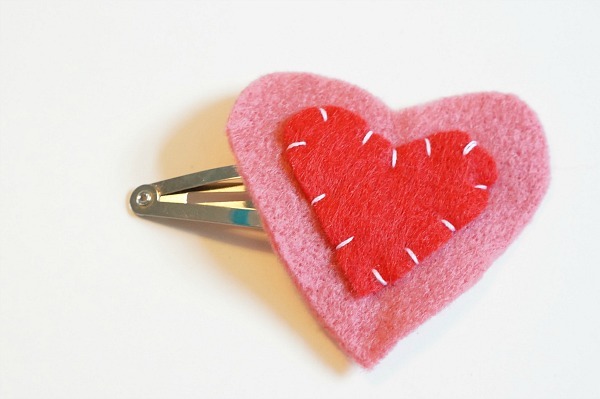 Sew a standard pin-back onto the large heart. Position the pin back near the top of the heart, so it sits nicely when pinned. 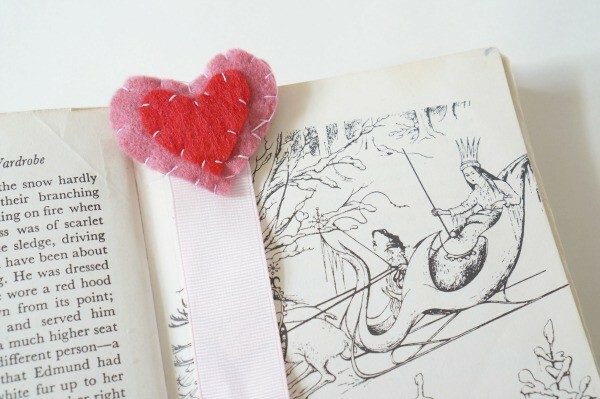 Sew the medium and small hearts in place, using a blanket stitch. Done. From the felt, cut 1 large, 1 medium and 1 small heart. 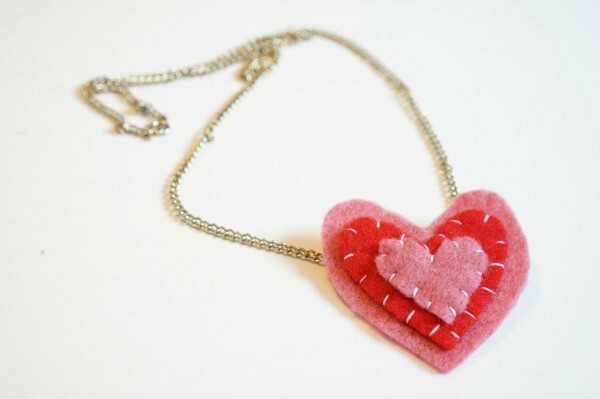 Sew a small loop of felt to the back of the large heart…this is where the chain or ribbon will go for the necklace. Again, position the loop near the top of the heart, so it sits nicely when on the necklace. 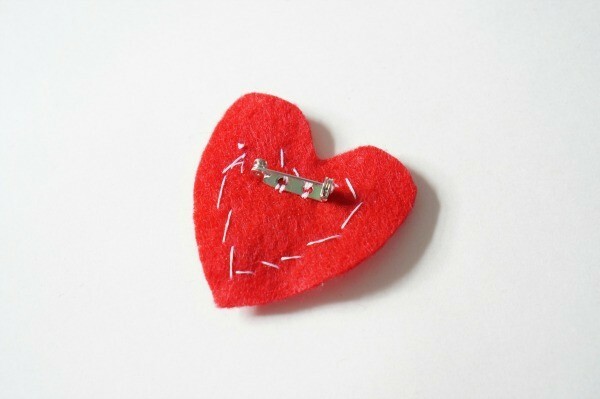 Sew the medium and small hearts in place, using a blanket stitch. Feed a chain or ribbon through the loop and done. 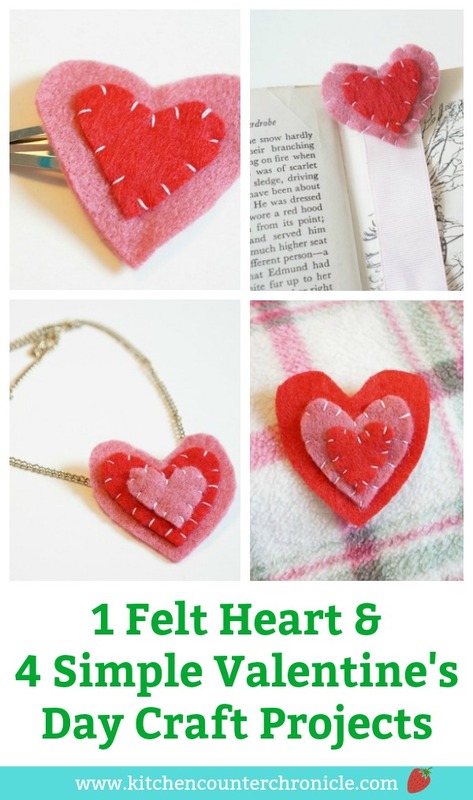 Sew the hearts together, using a blanket stitch. Use a hot glue gun to adhere the hearts to the hair clip. Cover the glued area with a small disc of felt. Done. 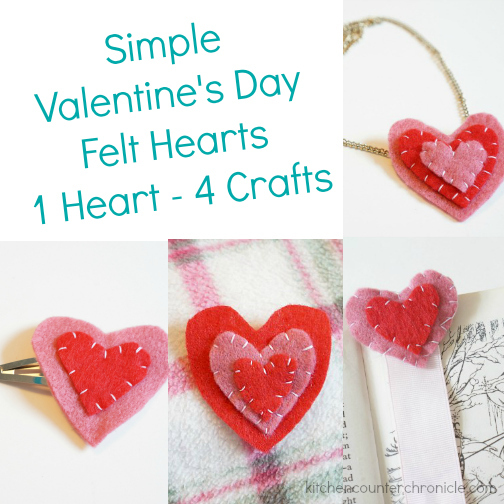 And there you have it, from one simple felt heart comes 4 fabulous craft projects. I whipped these up in an afternoon and I’m sure my daughters are going to enjoy turning the felt hearts they have cut out into each of these projects. What other ideas can you think of? 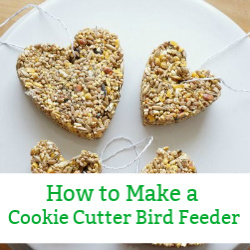 How else would you use your felt hearts? 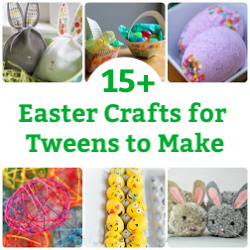 Love these ideas – then read our 10 Fabulous Valentine Crafts for Older Kids to Make , 10 Valentines for Older Kids to Make and Give and 10 More Fabulous Valentine Crafts for Older Kids to Make.